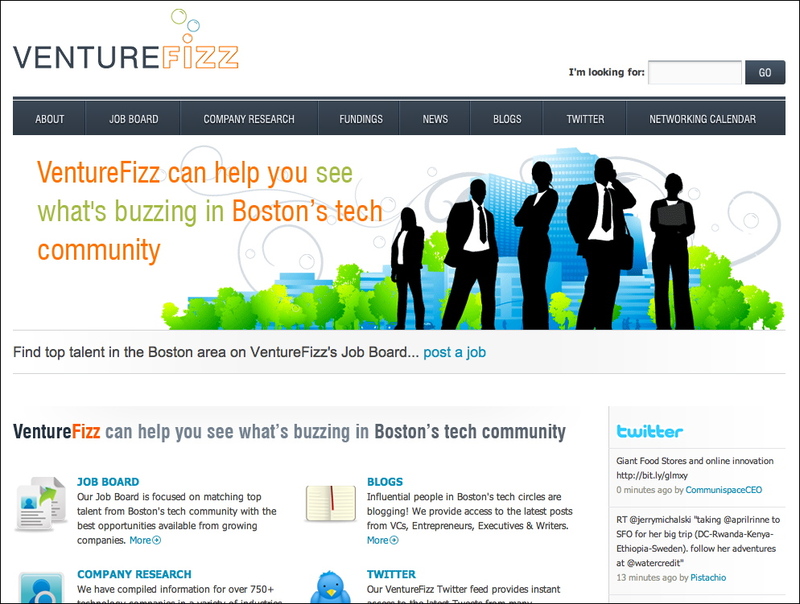 What's Cline up to with VentureFizz? Surrounding that is a collection of news items from sites like Boston.com, Mass High Tech, and Xconomy... events listings... and blog posts and tweets from local entrepreneurs and venture capitalists. Cline tells me he grew up in New Hampshire, and while he lives in Pennsylvania, most of his recruiting work is for Boston-area companies.